NIA CHARLESTOWN NEVIS (March 24, 2019) — The following is a message delivered by Hon. 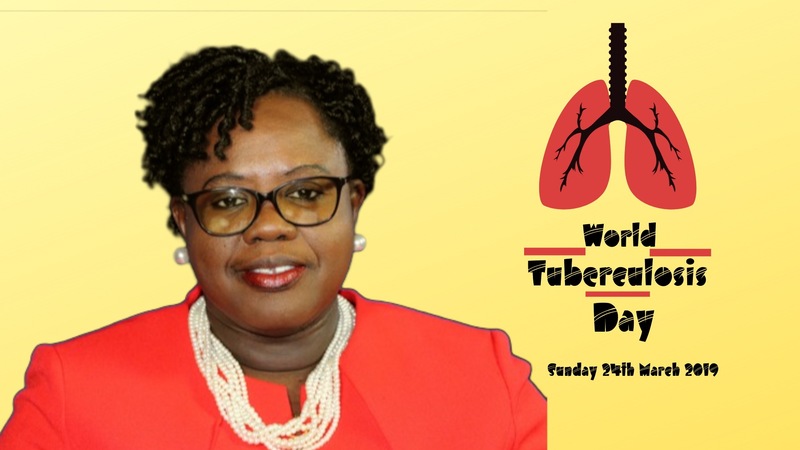 Hazel Brandy-Williams, Junior Minister of Health in the Nevis Island Administration on the occasion of World Tuberculosis (TB) Day which is observed annually on the 24th of March. This year’s theme “It’s Time,” emphasises the urgency to act on commitments made by global leaders, namely to scale up access to prevention and treatment; build accountability; Ensure sufficient and sustainable financing including for research; promote an end to stigma and discrimination; and promote an equitable, rights-based and people-centred TB response. TB continues to be a global public health priority, as it is one of the top 10 causes of death and the leading cause of death in HIV positive persons worldwide. It is estimated that a staggering 4,500 people die daily from this disease. Tuberculosis is caused by TB bacteria, which primarily affects the lungs and can spread from person to person mainly through coughing. A person with TB disease who is untreated can infect 10 to 15 persons through close contact over the course of year. Persons with weakened immune systems, including living with HIV, or who are malnourished, diabetic, and alcoholic or tobacco smokers are at a higher risk of falling ill due to this disease. However, EVERYONE is at risk, including children, and adults during their most productive years. Nevertheless, the good news is that TB is both PREVENTABLE and CURABLE. Additionally, as we move towards the global commitment to end TB, we are witnessing a fall in the incidence of TB worldwide. Through aggressive public health programmes and strategies to detect and treat TB, 54-million lives were saved worldwide between 2000 and 2017. The number of new cases is also falling at a rate of approximately two percent per year. Despite the documentation of large numbers of infected persons worldwide, here in our twin-island Federation, over the past few decades, through strong public health development, the burden of TB on our healthcare system has remained low, with an average of two cases per annum for the last 9 years (2009 – 2017). Of the total number of cases for the same period only four were recorded in Nevis. I wish to emphasise, however, that even though the burden is low, there is need for continued surveillance as one undetected active case of TB can spiral out of control. The Ministry of Health and Gender Affairs, through the Public Health Department, has in place ongoing prevention and control mechanisms as well as surveillance systems to ensure the timely diagnosis and management of cases. One such method of prevention is the availability of the BCG vaccine to all our zero- to four-week-old children as part of our immunisation schedule. This is complemented by a robust treatment and contact tracing protocol, in line with national and regional guidelines on the management and control of TB. This includes the provision of anti-TB drugs and directly observed treatment free of cost to all patients. Additionally, the national TB and HIV programmes have been making progress towards the integration of HIV/STI and TB programmes with the aim of reducing the overall burden of HIV-TB co-infections. As a signatory to the Unite Nations (UN), St. Kitts and Nevis has also committed to doing our part in ending TB as part of the UN Sustainable Development Goals, the World End TB strategy and the Global Plan to end TB. Furthermore, as an OECS member, we are part of the OECS Multi-country Strategic response towards HIV/TB Elimination Project. With these targeted projects and programmes and the commitment of our government to provide the necessary support, Nevis with the rest of region is well poised to end TB. It’s time!